The interplay of excitation and inhibition lies at the foundation of nervous integrative function. 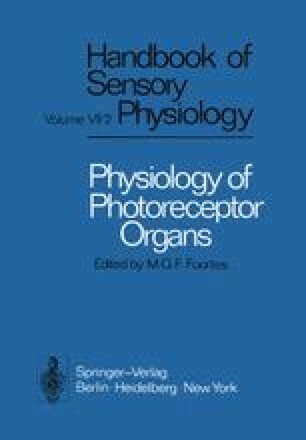 Modern neurophysiology builds on Sherrington’s analysis of motor function, extending his concepts to all the sensory systems and to the infinite complexity of the higher nervous centers (cf. Granit, 1966). Antagonistic processes in vision recall Hering; the role of inhibition in vision was clearly recognized by Mach. Sherrington (1897) himself ventured into this field, but it was Granit’s work that played an essential role in introducing Sherringtonian concepts in the study of retinal function. “The retina is a nervous center” writes Granit, quoting Cajal, and this he proceeds to confirm, exhibiting the interplay of excitation and inhibition in the retinal action potential and in the unitary discharges of retinal ganglion cells.